Albania is fighting a fierce drug war over illicit marijuana production, which has escalated over the last three years but is not working. Albania is hardly the place that most Europeans think of when they think of as the hip, happening centre of just about anything. The small, mountainous country on the Adriatic coast – less than 100 kilometres from Italy - has just over three million residents. It is also the continent’s most isolated country and one of its poorest. Yet despite this, or perhaps because of it, the country has been the centre of a booming and escalating illegal drug trade – including marijuana – which authorities have been unable to halt. Since the 1990’s and its independence from communist rule, Albania has been one of the continent’s largest marijuana producing countries, as well as a transit point for other drugs coming into the continent via Asia and Latin America. For the last three years, the country has also been the centre of a major interdiction effort by local authorities – aided by international police forces. This year alone, local authorities have implemented 31 joint interdictions – aided by mostly Italian forces. That is in addition to the more than 1,200 raids led by domestic police. Close to 9,000 Albanian law enforcement personnel have been employed in the raids. Nine tons of marijuana have been seized. The rest of the world, on the cusp of at least accepting the efficacies of medical marijuana if not pondering other kinds of regulated reform, is suddenly sitting up and taking notice of Albania. Farmers, particularly in the rocky, isolated areas around the tiny town of Lazarus, have few other options to support their families. Two kilograms of marijuana sell for 600 Euros – the price the same farmers are able to get for a ton of wheat. Farmers are also switching to genetically modified Dutch strains of the plant, which have shorter growing cycles – and thus create more opportunities to harvest the buds every year. There are three growing seasons – starting in late May. Armed gangs, many of them equipped with machine guns, protect the crops and export the product to the rest of Europe. A great deal of Albanian marijuana ends up in the U.K. – transported through “Europe’s back doors” – namely countries like Greece. There are increasing concerns that both organized Italian mafia and Isis activists are directly involved in European distribution, using the profits to then fund other criminal activities if not terrorism. While it may be remote from the rest of Europe, the situation that is devolving is hardly a “gentle” war. In 2014, over 800 SWAT Team officers raided the village of Lazarat – resulting in a bloody shootout with local villagers. As police moved in to arrest farmers, SUVs with heavy machine guns and anti-tank guns moved in and started firing at the police. Interdiction efforts here are a multi-step affair. Helicopters, mostly Italian in origin, survey rocky terrain from the air in search of crops. Police must then walk on foot through inhospitable terrain, guided less by maps than other tell-tale signs – such as water pipes used to irrigate the plants. However, despite stepped up efforts to stop the localgrowers, and a greater number of plants seized than in previous years, nothing seems to be changing. From the air, marijuana grows are hard to spot. Most interdictions at this point are limited to seizing water trucks headed for known cannabis production areas, arresting migrant workers on their way to the fields, and destroying cannabis in transit once it has been grown. But the real reason that things are not changing is very simple – demand from the rest of the continent. Europeans, according to some reports, spend as much as 24 billion euros a year on “illicit” substances – the largest proportion of which is marijuana. Despite stepped up interdiction efforts, most observers concede that things are not changing. The real way to stop an increasingly bloody war that does not seem to be halted by repeated interdictions by the police and military is legalization and regulation. More than ironically, just across the Adriatic, as of this fall, the Italian military is now in the marijuana grow and distribution business (albeit legally) to hospitals and pharmacies. The German government is now pondering not if but when to begin state-sanctioned marijuana grows (probably sometime after 2018). In the meantime, home-grow, particularly for medical use, is also becoming sanctioned in more and more countries. As in the United States, particularly in the years right before Colorado and Washington State legalized their state markets, Europe is now struggling with how to proceed on marijuana reform – and on what level. According to data from U.S. law enforcement, seizures of marijuana across the U.S.- Mexican border have dropped year-over-year for the last 10 years. Legalization in the U.S. has achieved what the drug war in the American hemisphere could not – it undermined the cartels. There is no reason to believe the same strategy would not work in Europe. 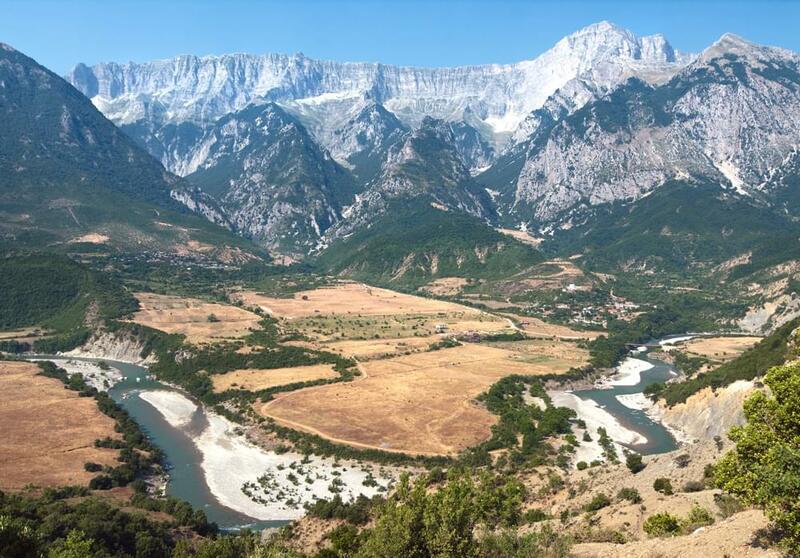 There is also every reason to believe, despite increased focus on military interdiction in Albania, that authorities are rapidly reaching the same conclusion.